The last 17-inch Asus ROG laptop we reviewed at TechSpot was the massive G752VS, which packed an Nvidia GeForce GTX 1070 in a body that's 53mm thick and 4.36kg heavy. For those after something a bit more portable, perhaps the GL702VM is what you're looking for. 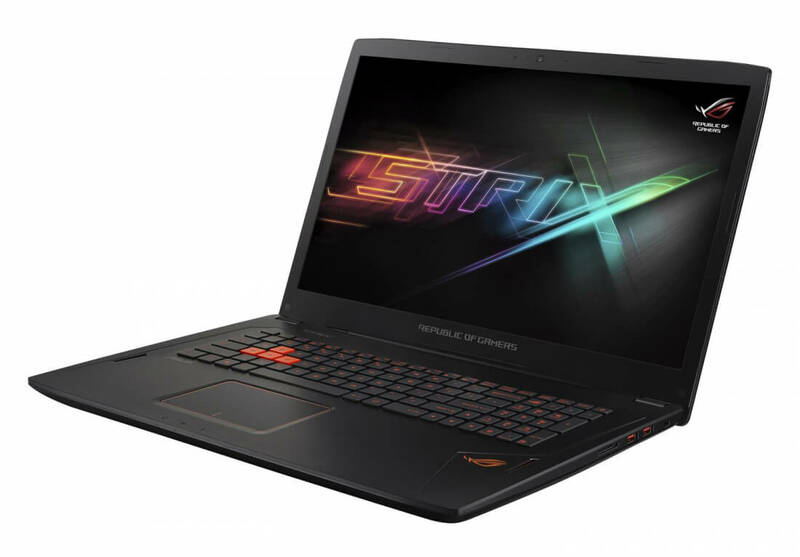 The Asus ROG Strix GL702VM still packs a 17.3-inch 1080p display with G-Sync, however it swaps out the GTX 1070 and its massive cooling solution for the more modest GTX 1060. The result is a laptop that's 24mm thick at its thickest point, and just 2.73kg heavy. Asus has also toned down the 'gamer' style that plagued its bigger and heavier brother. The rest of the GL702VM's hardware is about what you'd expect for a gaming laptop. There's an Intel Core i7-6700HQ processor clocked at 2.6 GHz, 16 GB of DDR4 memory that can be expanded to 32 GB, a 1TB hard drive with an optional 256GB SSD, and a 64 Wh battery. The collection of ports is decent too, thanks to the inclusion of three USB 3.0 ports and a single Thunderbolt 3 USB Type-C port. While the cooling solution isn't as beefy as what was seen in the G752VS, the GL702VM still includes a triple-fan cooler with independent heatsinks and heatpipes for the CPU and GPU. Asus boasts that the keyboard features 30-key rollover protection and 1.6mm of travel distance. The GL702VM is available right now, starting at $1,399 for the base model, or $1,599 for the model with an additional 256GB SATA SSD.